Here's a quick meal I came up with using rotisserie chicken! This is my play on a typical lettuce wrap, but using Mexican flavors to create a healthy taco. I think these would be fun served family style, with the filling in a large bowl for people to serve themselves. 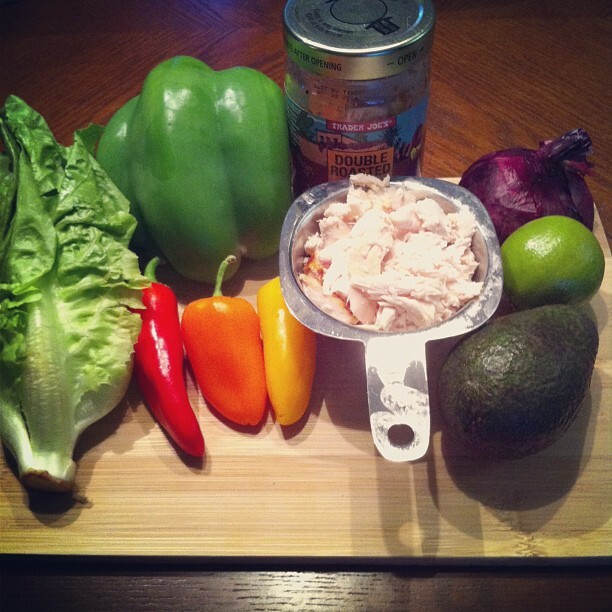 It requires no cooking at all & is so fresh and flavorful. If you don't have a rotisserie chicken on hand, feel free to substitute sautéd ground beef or grilled chicken breast. 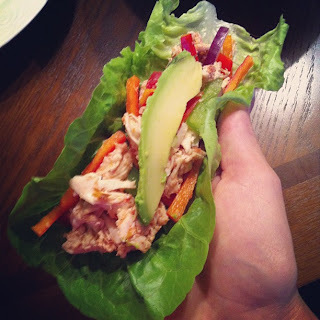 You can also wrap the taco filling in corn tortillas~ it's up to you! 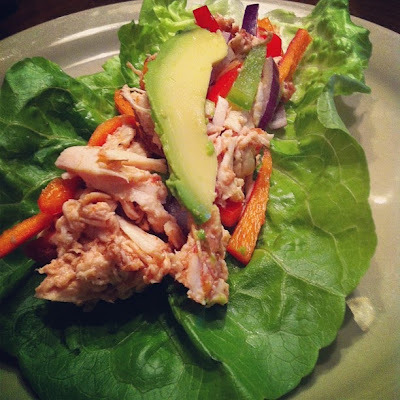 The leftover filling is perfect over romaine for a lunch salad the next day. Enjoy! 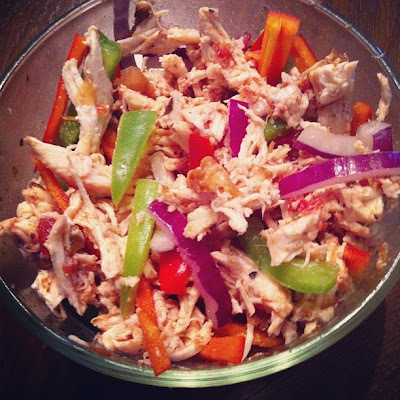 Mix the chicken, salsa, bell peppers, & red onion in a small bowl (add hot sauce if you like it spicy). 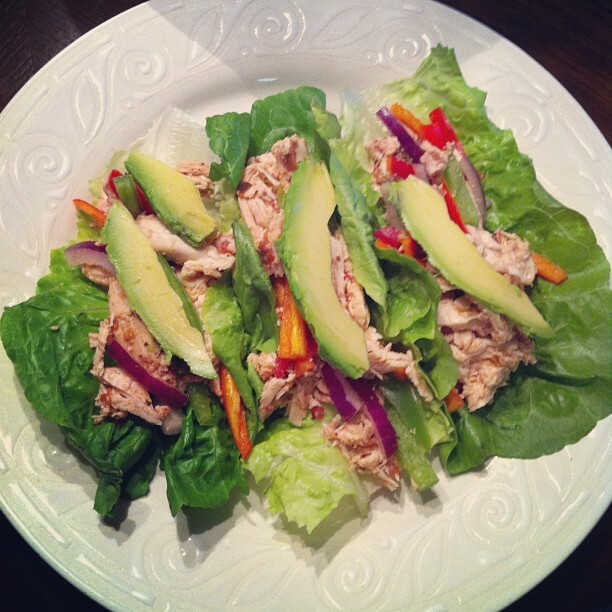 Fill the romaine leaves with the taco filling & garnish with sliced avocado & a squeeze of fresh lime.